Come hell or high tension, RAD is here to teach everybody and every body a thing or two about how the world is meant to move. Our muscle-mastering massage, mobility and recovery tools are some of most innovative ever created. Ever. We stand for taking better care and treating our bodies right—never letting tight muscles or misalignment dictate the direction of our lives. RAD means release. RAD means forward motion. RAD means feeling better, freeing restrictions and getting to the root of relief. We believe that every day is an opportunity to do right by your life and body, and we’re here to provide the exclusive tools and expert knowledge to help you do it. RM-1 takes a decade of research and experience in fascia and distills it down into the key points you’ll need to understand the latest knowledge and teach it to your clients. You’ll learn about how the latest changes in fascial research can help affect the success of your clients. • The RAD tools are designed very specifically. 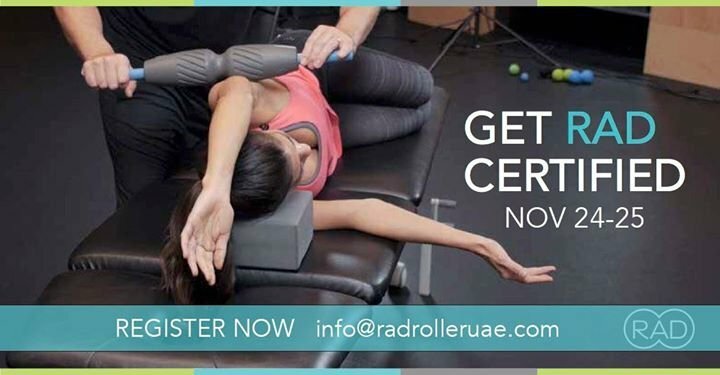 This course reconciles the latest research on pain, mobility and manual therapy with the techniques used by industry experts. Not all parts of the body are equal and we will give you the secret to determining where to release on the body along with the movements and exercises that will make the changes permanent.